The reason we got started on our main project about fake news was probably because of the website that Dr. P made trying to trick us that it was real when it was just made by him. This story was transparent, everybody saw right through it. From doing this, we began thinking that we could prank the school with this idea. Everyone quickly began brainstorming idea's on how we can prank the school and make it believable. We all had some really big and crazy idea's. My idea was to say that teachers at the school have been pocketing the money we give to them for their selves. My partners and I had a great concept for this. It would have really seemed believable. After doing this, we looked more into fake news and what it is about. We began looking at fake news articles and what they have. We began to make our own fake news articles with our tables and this became the "Fake News Olympics." The article I made with my group was about Donald Trump's hotel in Manhattan on fire. After this, we finally got to begin making our own fake news story about whatever we wanted. I made a fake article about a man that was going to attempt to assassinate President Donald Trump. I came up with this because I felt like it could be something that would really happen and people would believe if they saw. I didn't include too many red flags in my article because I wanted it to look realistic and believable but it had them. 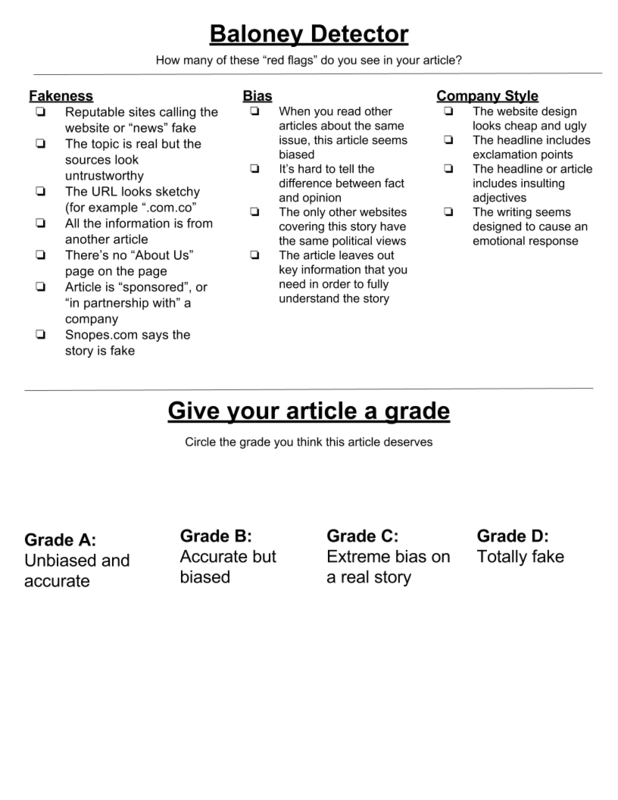 I did not have to change my article too much because my peers liked it and found it realistic, but when the middle schoolers saw it, they knew it was fake right away. We also made our final 'baloney detector' for guest to see the red flags to look out for. After all of this, we were done and it was exhibition time. Our exhibition was set up as a cafe where people would come in and maybe grab and snack, and read a article. They then had to determine whether the article was fake or not and why. They were all fake though because they were the articles written by us. Setting up for exhibition was not too hard. We set up the day of, all I had to do was help to rearrange tables in the classroom. During exhibition, I was at the front door greeting people and telling them about exhibition, what our project is and inviting them in. The guest thought it was an interesting project and left with knowledge about fake news. Some guest didn't even know what it was till then. If I had to give advice for this project, it would just be to be optimistic. We were all confused of what was even happening in our project but we always stayed optimistic and ended up getting something good done!